Shanya Sahay is a third generation lawyer who has worked hard to carry on her family legacy. Shanya graduated with a Bachelor of Laws in 2017, becoming an integral member of Stephens & Tozer in the same year. She was then admitted to the Supreme Court of Queensland and the High Court of Australia in 2018. Shanya has experience in a range of legal practice areas, including litigation, migration, personal injuries, and wills and estate. She is committed to her development in such an extensive range, and values the ability to assist her clients across multiple practice areas. With an expert team behind her, Shanya is excited and confident to take on all that comes her way. 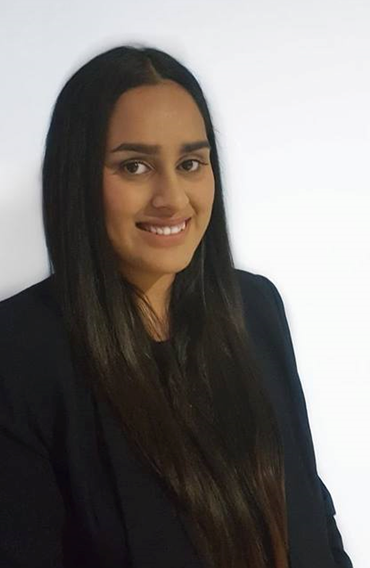 An attentive and friendly member of the team, Shanya has a knack for making her clients feel comfortable, and is more than happy to assist with their queries.